Jaundice is the medical term for yellow discoloration of the skin, sclera (whites of the eye) and deeper tissues like the mucus membrane of the mouth usually as a result of high levels of bilirubin in the blood. The word ‘jaundice’ essentially means yellow color (Latin ~ glabinus, French ~ jaunisse). It is commonly referred to as yellow jaundice but this makes the term redundant (yellow yellow). The term icterus is often used concurrently with jaundice, however, icterus indicates a yellow discoloration of the sclera of the eye. The body is constantly breaking down old red blood cells (RBC’s/erythrocytes) when these cells reach the end of its lifespan in the circulation (approximately 120 days) or become damaged. The RBC’s are renewed by the maturation of hematopoietic stem cells found in tissue like the bone marrow. The RBC’s rupture and hemoglobin is consumed by macrophages (phagocytosis). The hemoglobin is then split into heme and globin. Heme is further broken down into iron and another molecule known as tetrapyrrole which is formed into biliverdin. From this biliverdin, free bilirubin (unconjugated bilirubin) is made and it circulates in the blood stream. The free bilirubin is quickly taken up by the liver, conjugated and released by the liver cells as conjugated bilirubin which is emptied with bile into the intestine. The enzyme glucoronyl transferase is responsible for the conjugation of bilirubin with glucoronic acid. The liver can easily excrete the conjugated bilirubin, thereby removing this waste product from the body, however, free bilirubin cannot be excreted by the liver. Most of the conjugated bilirubin will be passed out in the feces and some are converted into urobilinogen by the action of bacteria in the gut. Small amounts of urobilinogen are absorbed back into the blood stream and then passed out again by the liver as bile or excreted by the kidneys in urine. Free bilirubin is constantly circulating in the blood stream and averages about 0.5mg/dL in a normal state. Any disruption increases the free and conjugated bilirubin in the blood. The yellowish discoloration of the skin that is typical of jaundice becomes evident when the bilirubin level reaches 1.5mg/dL. Excess breakdown of red blood cells – hemolytic jaudice. Inability of the liver to conjugate bilirubin – non-hemolytic hyperbilirubinemia. This is also seen in neonatal jaundice (physiological jaundice) which occurs in newborn babies, usually within the first 2 weeks of life. Failure of the liver cells to excrete bilirubin into bile – hepatocellular jaundice. Obstruction of the flow of bile out of the liver – obstructive jaundice. Hypercarotenemia occurs in people who eat large amounts of foods that are high in carotene, like tomatoes and carrots. This causes a yellowish discoloration of the skin, but not the sclera of the eye, and is more pronounced on the face, palms of the hand and soles of the feet. This yellow tinge of the skin is not associated with jaundice due to hyperbilirubinemia and may also be seen in hypothyroidism. Patients with pernicious anemia may appear a pale yellow, sometimes described as lemon-yellow, due to a combination of pallor and jaundice. 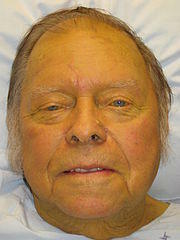 Wilson’s disease results in jaundice as a result of copper deposition in the tissues. This is due to the body’s inability to metabolize copper which is a major component of skin pigmentation. Other causes of copper toxicity (poisoning) may also result in jaundice. The type of jaundice is categorized according to the cause in relation to the liver. The cause of the high levels of bilirubin occurs outside of the liver and this is known a pre-hepatic jaundice. It usually results in high levels of unconjugated or “free” bilirubin in the blood (unconjugated hyperbilirubinemia). Hemolytic jaundice occurs when red blood cells are rapidly broken down (hemolytic anemia) resulting in a flood of bilirubin in the blood stream. While destruction of old red blood cells are a normal process, in hemolytic jaundice, the RBC’s are prematurely destroyed. The live is unable to clear out the bilirubin at a sufficient pace. This is related to both congenital or acquired disorders that result in hemolytic anemia. Erythroblastosis fetalis results in high levels of bilirubin in the fetus and newborn baby as a result of red blood cell hemolysis due to the action of the mother’s immune system. This occurs when the baby of an Rh-negative mother inherits the Rh-positive antigen from the father. The mother’s immune system produces anti-Rh antibodies which cross the placenta and enter the baby’s circulation. This destroys the red blood cells in the baby’s blood stream. Newborns may have severe jaundice (erythroblastotic neonate) and it should be differentiated from physiologic jaundice in a newborn (discussed below). Non-hemolytic jaundice is the yellowish discoloration as a result of excess bilirubin in the blood which is not related to excessive breakdown of red blood cells (non-hemolytic bilirubinemia). This may be seen in inherited conditions like Gilbert’s syndrome or type 1 Crigler-Najar syndrome where the metabolism of bilirubin is impaired due to the absence, deficiency or underactivity of glucoronyl transferase, an enzyme which is responsible for the conjugation of bilirubin with glucoronic acid. Neonatal jaundice (newborns) is also a form of non-hemolytic jaundice but is not related to any pathology and is also known as physiologic jaundice. Bilirubin from a fetus enters the mother’s blood stream and is metabolized by the mother’s liver. Once the baby is born, the liver is not able to conjugate bilirubin in the first few days to week of life, resulting in an increase of bilirubin in the blood. This will resolve spontaneously although high levels of bilirubin in the blood may prompt the need for phototherapy (ultraviolet light). Hepatocellular jaundice is the result of defective uptake or excretion of bilirubin by the hepatocytes (liver cells). This is seen in various liver diseases like hepatitis or cirrhosis or due to certain drugs in the system. The liver cells are unable to take up free bilirubin from the blood and/or pass conjugated bilirubin into he bile canaliculi. Hepatocellular jaundice results in a rise of both conjugated and unconjugated bilirubin in the blood. Obstructive jaundice is the result of a obstruction to the flow of bile usually within the bile duct. Less commonly, it may be a result of an obstruction within the canaliculi thereby preventing the hepatocytes from initiating the flow of bile. This is not a problem with bilirubin excretion due to liver cell damage as is the case with hepatocellular jaundice but rather as a result of bile congestion due to the obstruction. Bilirubin returns to the blood stream leading to jaundice. It is also known as cholestatic jaundice since the bile is not flowing as a result of the blockage (cholestasis). Jaundice in newborn babies are a common occurrence and is evident as a yellowish discoloration of the skin, mouth and whites of the eye (sclera). In babies, the discoloration of the sclera is often more prominent than it is in jaundiced adults. Jaundice is due to an elevated level of bilirubin in the blood (hyperbilirubinemia). Neonatal jaundice that is not pathological may be due to physiologic jaundice, breastfeeding jaundice or breast milk jaundice. Jaundice in newborn babies that may be due to pathological causes includes non-hemolytic jaundice in a condition like Gilbert’s syndrome or hemolytic jaundice as a result of erythroblastosis fetalis. What happens in newborn jaundice? 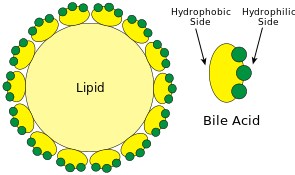 Bilirubin from the fetus is managed by the mother’s liver but once the baby is born, the newborn’s body has to rely on its own mechanisms for the conjugation of bilirubin. Comparatively, a baby lives in a state of hypoxia within the mother’s uterus – this means that there is a low oxygen availability compared to oxygen acquired through respiration (breathing). In order to cope, the fetus produces and maintains a higher volume of red blood cells (erythrocytes), which is over 4 million cells per cubic millimeter. Once the baby is born and breathing, the body no long requires these red blood cells and begins to break down the excess cells. The rush of bilirubin released as a result of hemoglobin metabolism coupled with the immature liver’s inability to conjugate bilirubin efficiently often results in jaundice in the newborn. Other factors that contribute to the high levels of bilirubin include diminished hepatic flow and an almost sterile gut lacking the natural intestinal flora (bacteria) that is required to further break down bilirubin in the gut. This is known as physiologic jaundice. It starts about 2 to 4 days after life and often passes on its own with no need for medical intervention. 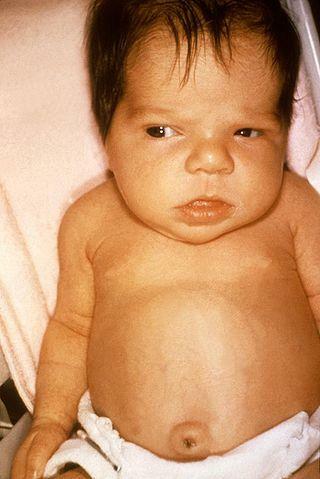 This type of jaundice is often associated with physiologic jaundice but is a result of a lower blood plasma volume in the baby. This increases the concentration of bilirubin in the blood but subsides once the baby is feeding for a period of time. It is often complicated by a low breast milk supply as the mother’s breast tissue begins to produce milk in the first few days of the baby’s life. Breastfeeding jaundice subsides as the blood plasma volume increases. This type of jaundice occurs in a breastfeeding baby as a result of the mother’s progesterone impairing the conjugation of bile. Pregnane-3-alpha 20 beta-diol is a metabolite of progesterone and passes through the breast milk into the baby’s body. It inhibits the enzyme glucuronyl transferase which is necessary for the conjugation of free bilirubin with glucuronic acid. Breast milk jaundice starts about 4 to 7 days after birth and resolves spontaneously with no need for medical treatment. A type of hemolytic jaundice seen in newborns is known as erythroblastosis fetalis. It arises when a baby inherits Rh-positive red blood cells from the father while the mother is Rh-negative. The process begins in the fetus and antibodies produced in the mother’s body crosses the placental barrier where it destroys the baby’s red blood cells. In erythroblastosis fetalis, the baby is often born jaundiced. Certain inherited disorders may affect the genes responsible for glucuronyl transferase. This enzyme is necessary for the conjugation of bilirubin. In Crigler-Najar syndrome type 1, there is a deficiency or absence of glucuronyl transferase, while in Gilbert syndrome, there is an underactivity of glucuronyl transferase either due to a quantitative or qualitative deficiency. Both these conditions may only be detected weeks after the baby is born as it may be initially misdiagnosed as physiologic, breastfeeding and breast milk jaundice. Last updated on August 31, 2018.